The former Lakeshore Psychiatric Hospital, originally known as Mimico Hospital for the Insane, was built in 1888. It was originally a branch of the Toronto Hospital for the Insane. The hospital underwent several name changes, opening as the Mimico Lunatic Asylum, in 1911 it became the Mimico Hospital for the Insane, in 1919 it became the Ontario Hospital, New Toronto, and later renamed as the Lakeshore Psychiatric Hospital. 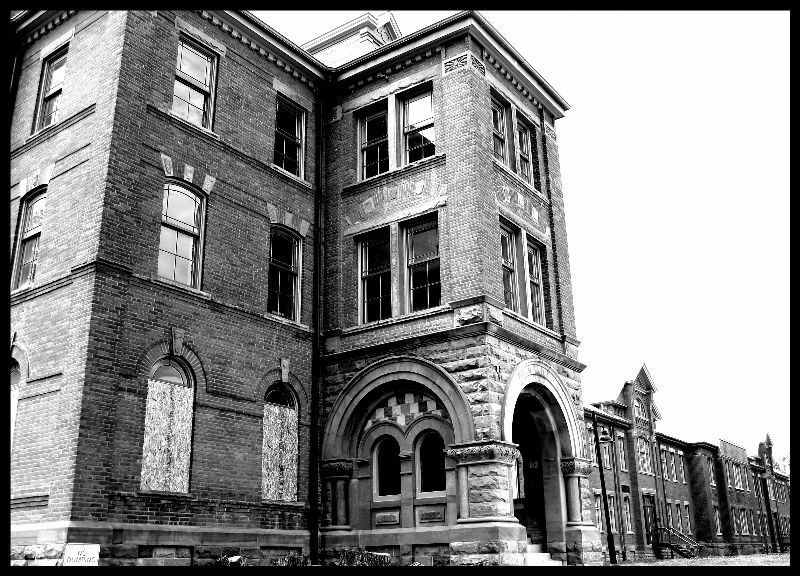 The first occupants in 1889 were 10 male patients and 2 attendants from the Queen Street Asylum who were sent there to ready the institution for the influx of inmates. Dr. Nelson Henry Beemer became the first superintendent of the Mimico Asylum. Dr. Beemer was a strong believer in meaningful work as a form of rehabilitative therapy. But, like all other male and female asylum inmate labourers in Ontario during this period, none of these workers received any pay for their work. The Assembly Hall, located on the southeast corner of Kipling and Lakeshore was originally constructed using patient labour in 1897 to provide the residents of the Lakeshore Psychiatric Hospital with a recreational facility and a place to come together as a community; it served as a place of healing, celebration and worship. In the earliest days, the second floor of the Assembly Hall was used for performances and dances by the residents of the Psychiatric Hospital - and on Sundays the chairs were turned to face the chapel at the south end so the residents could worship. The asylum had its own farms and was self-sufficient for vegetables. The Government contracted for everything else, such as potatoes and milk. Bread was baked on the asylum grounds. Tea and sugar were bought on the open market. What was once the farm at the Mimico Asylum is now the R.G. Filtration Plant. By the late 1930’s, the hospital was in such a state of disrepair, it was described as a “firetrap” during an inspection. In 1959, Dr. H.C. Moorhouse became the new superintendent and revitalized the entire facility. The Assembly Hall was used for square dances, religious services and local celebrations until the hospital closed it doors in September 1979. This location's validation is current. It was last validated by Emperor Wang on 12/17/2007 5:27 PM. Filming done at this location... Mr. "D" 0 1247 7/16/2009 11:42 PM by Mr. "D"
This page was generated for you in 82 milliseconds. Since June 23, 2002, a total of 574103811 pages have been generated.